If you want several users to have the same access rights to your server, it is a good idea to set up a group account for all of them rather than having to define the same options in each account. This is a handy method to handle large numbers of users/user rights without too much of work. Permissions and attributes inherited by a user through group membership can be overridden at the user level. 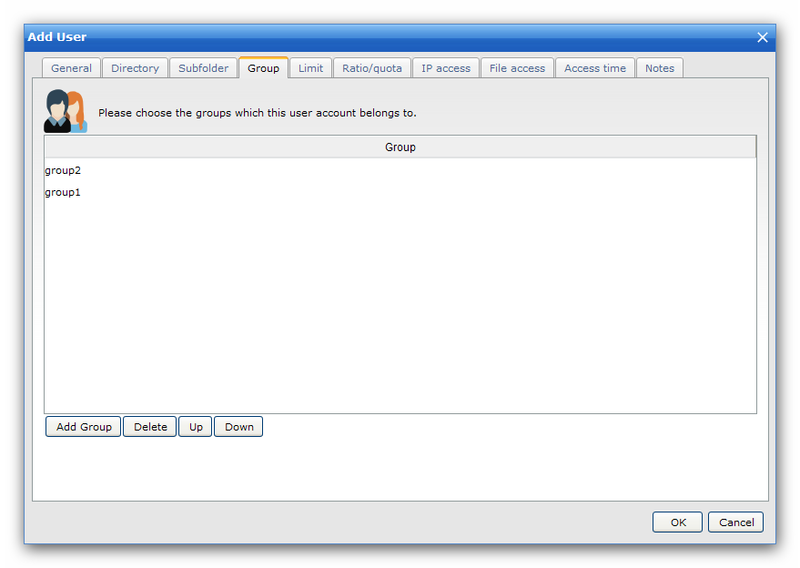 User can be a member of multiple groups in order to acquire multiple collections of permissions, such as File or IP access rules. Change the order of selected groups. Because a user can be a member of multiple groups, the order in which group memberships are presented is important. The first group encountered by the server that provides a value for an attribute is the value that is used.